Why is it important for my intake of calcium to be adequate? 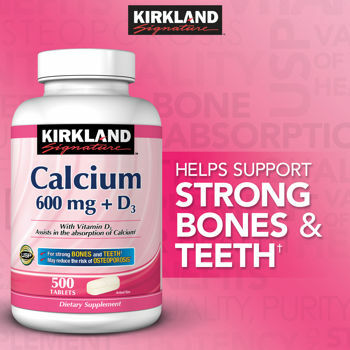 Calcium is the most plentiful mineral in the body and is essential in processes such as nerve transmission, intracellular signaling, hormonal secretion, and vascular and muscle function.1 The large majority of the body’s calcium stores are found in bones and teeth to help keep their structural strength and to establish reserves to conserve levels in the blood, muscles, and intracellular fluid. Recommended Daily Allowances (RDA) for calcium were established by the Institute of Medicine (IOM) based on age and gender. Men between 19-70 years old require 1,000 mg calcium daily, whereas men over 71 years need 1,200 mg per day. Women between the ages of 19-50 years old need 1,000 mg calcium per day and those over 50 years old need 1,200 mg per day. The Tolerable Upper Intake Level (UL) of calcium for men and women older than 18 years of age is 2,500 mg per day. What are the food sources of calcium? Rich sources of calcium include dairy products, such as cheese, milk, and yogurt. Leafy greens, like kale, broccoli, and spinach also provide calcium in moderate amounts, but they contain other elements that may block calcium absorption. Oxalic acid or oxalate strongly inhibits calcium absorption and can be found in spinach and rhubarb. Foods fortified with calcium include fruit juices, tofu, and cereals.